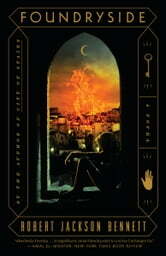 Foundryside by Robert Jackson Bennett An epic fantasy read. Gritty with a sliver of hope and smidge of Save the World begrudgingly. An unlikely savior in an industrialized magical world. It’s a world where inanimate objects are given intelligence and specific tasks to perform. It’s a world divided between the haves and have nots. Lots of poverty and lawlessness. Greed and godly ambitions. First in a series. Read as a complete book with only the last paragraph hinting there is more to come. It was an engrossing read throughout and was quite gripping in the last third. Why not the full 5? There were a few discordant notes with characters swearing that fit today’s world rather than this fantasy world. Enough so that as I read them it pushed me out of the story in that moment. I received a copy of the book from NetGalley and BOA. I have never read this author before. I generally put this in my review for authors I’ve never read before to show I don’t go into a book with any expectations. 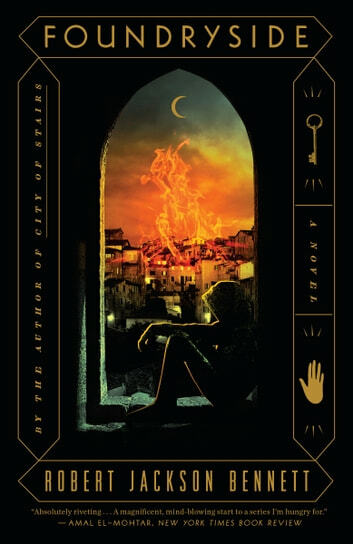 What I found was a novel that had great world building and fascinating characters. This author had a great way with words, and I really didn’t want to put this book down to adult. I’m not usually an epic fantasy fan, and to be fair, this isn’t exactly just an epic fantasy, but this one started out so action-packed I didn’t have any choice but to be immediately drawn into the book. While some aspects of the genre of this book didn’t appeal to me and I found some plot twists predictable, I was able to look past those for the most part and keep my attention focused on the plot, and found a great deal of enjoyment in reading. Fans of this author will be sure to enjoy this, and if you like epic fantasy/steampunk/sci-fi type books, you should give it a try! Highly recommend! I was provided the e-book which I voluntarily reviewed.